•PDF annotations were occasionally getting lost and not saving properly, which was annoying. This has been fixed. •Sometimes the status bar, where the time is shown, was disappearing while viewing a PDF. This has been fixed, and PDF viewing will have less of a casino feel and more of a file viewing feel. •For OneDrive for Business users, the sites list in the Files extension would minimize unexpectedly. This has been fixed. 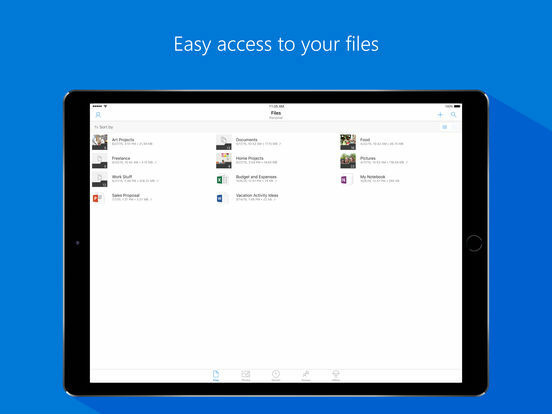 Big thanks to all the OneDrive super users who help us make the product better. This wouldn't be possible without your feedback!